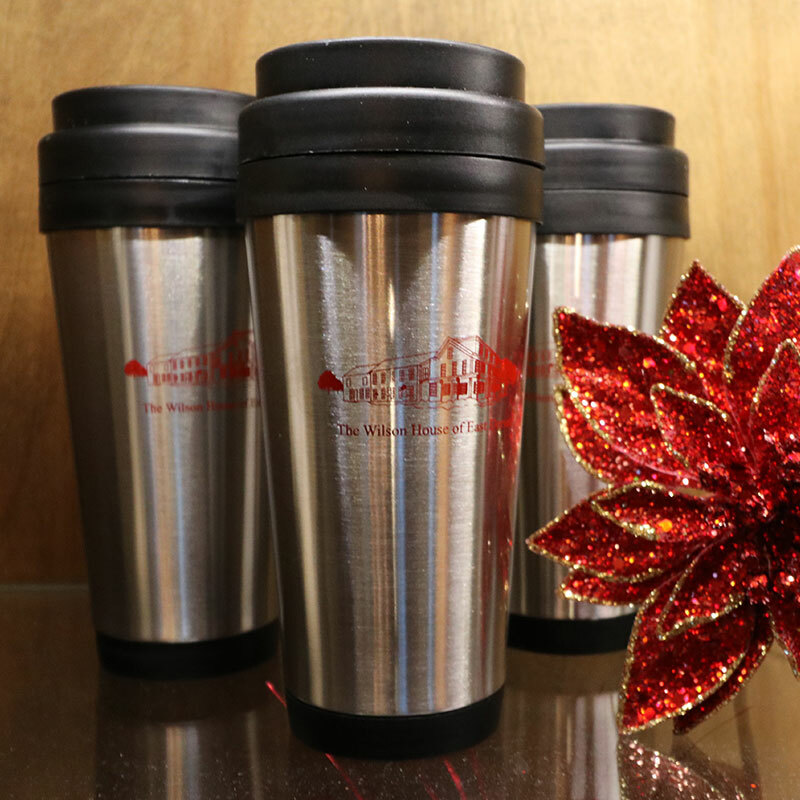 Insulated brushed stainless steel Travel Mug for hot or cold beverages. 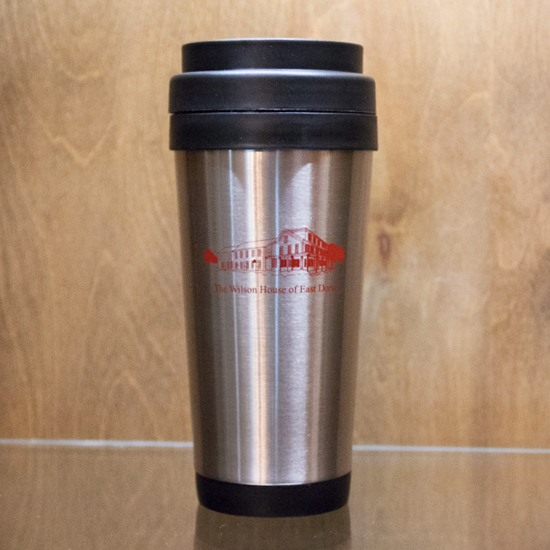 Mug is 7 inches with black screw on top. 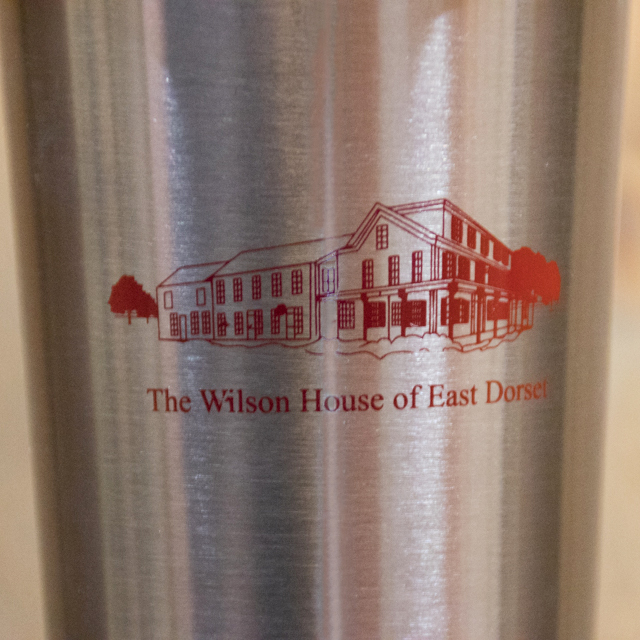 Front of mug has “The Wilson House of East Dorset” logo in red.